Living in Sunny South Africa! : New digi releases from Some Odd Girl! It's Tuesday and that means it's digi day at Some Odd Girl. I am so excited to be posting this, these new images are ADORABLE. I know they will appeal to a lot of you crafty ladies out there!!! 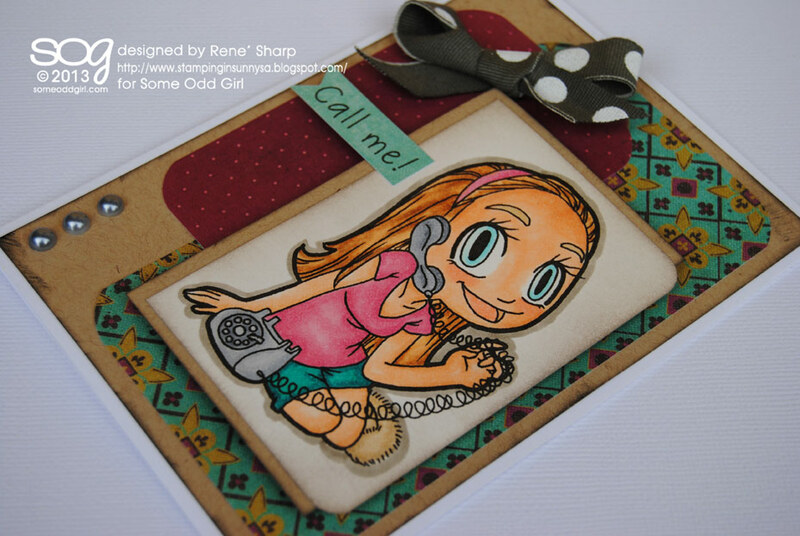 First up is - PHONE CALL MAE, isn't she too adorable chatting up a storm with her BFF!! This image is perfect to use on a card for a friend who is far away! She really is perfect to let someone know you would LOVE to chat to them! 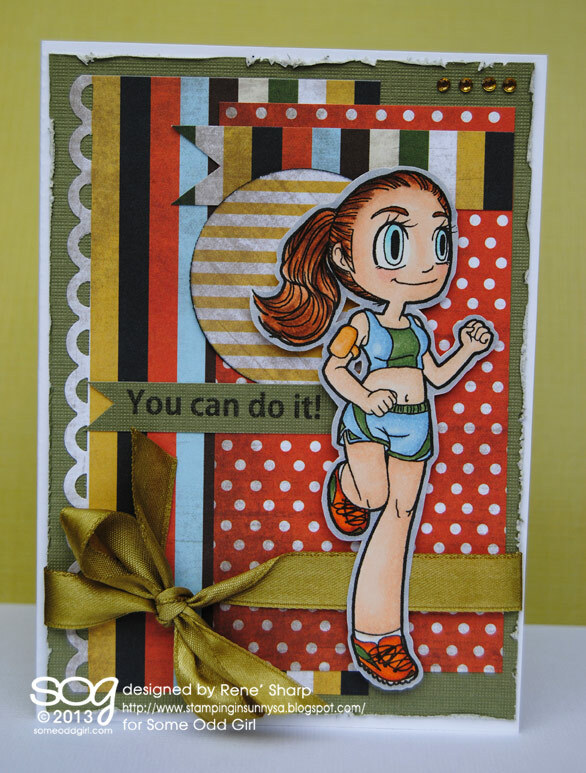 I tried to make this card super girly!! Mae is such a purdy girl isn't she!?! Next up is - JOGGER MAE! Mae has decided she has spent too much time talking on the phone, and she needs to get active!! I LOVE LOVE LOVE this image. I am a jogger myself (or at least I try to be:), so this new image totally "speaks" to me and my fitness conscious self!! 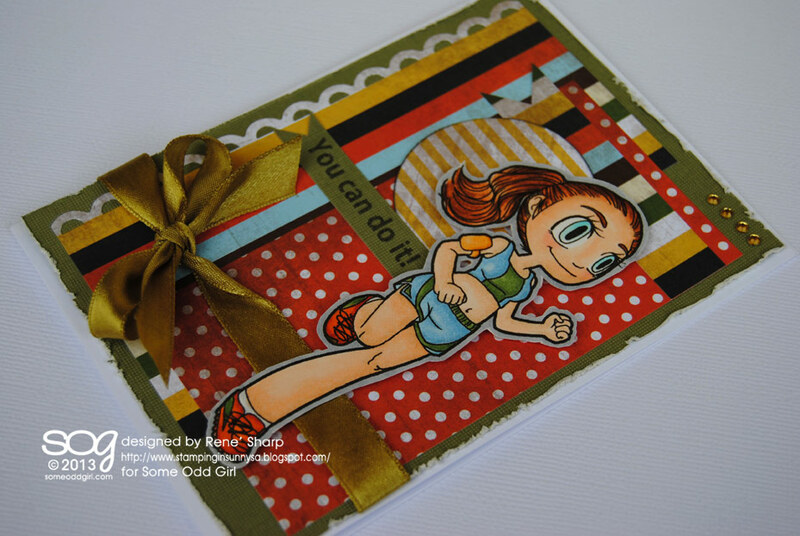 For this card I tried to go with more a sporty athletic vibe! The circle behind Mae's head reminds me of the sun rising, Mae likes to exercise early :) Both the sentiments I used were printed out on the computer. So what do you think?!? Aren't they just the nicest images?!? I LURVE them lots!! If you are a SOME ODD GIRL fan, why not join our Ning Community (Some Odd World), it is so much fun!! If you are interested in dashing off to buy either of these gorgeous images, head HERE!! love these two cards Rene. Very bold and unusual use of colours makes them really spectacular. I miss card making. Love how you used both images, Rene!! Both of the cards are adorable!